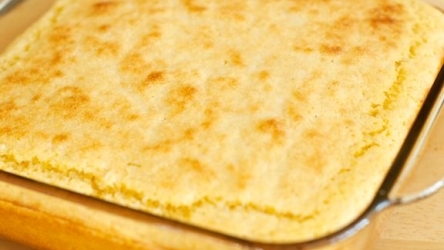 Arepa de Huevo is a Colombian food recipe of corn bread with eggs. 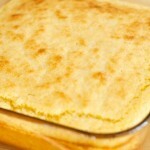 Combine cornmeal, salt, oil, and water and bring to a boil. Reduce heat and simmer until thick. Turn off heat. Spoon half the batter into a greased 9 by 9 inch baking pan, pour eggs over and add remaining batter.